Green hair extensions are available during Moxie Blue Salon's grand opening the party while supplies last. New Jersey salon Moxie Blue is throwing a grand opening party at its new Philly location on Wednesday, Feb. 7. Since the party is taking place the night before the Eagles' Super Bowl parade, the salon is offering free, green taped-in hair extensions to attendees. The green hair extensions will be available while supplies last, so you'll want to get to the party when it starts at 7 p.m. 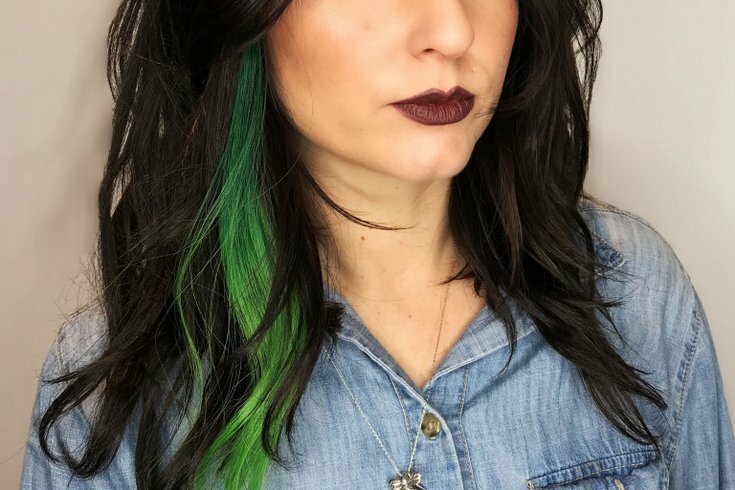 If you can't make it but are determined to show your Eagles pride through your hair color, you can make an appointment at the salon to get the "Eagles Midnight Green" or "Eagles Kelly Green" hair extensions in the upcoming weeks. If green hair isn't for you, there's still lots going on at the grand opening party. Attendees will get to meet the Moxie Blue staff, who will be providing makeup and hair touch ups, and gift bags will be provided for attendees full of Moxie Blue coupons and product samples. Plus, Moxie Blue's neighbor, Tuna Bar, will be providing a raw bar and sushi station. To drink, there will be a Naked Grouse Scotch tasting bar, speciality cocktails by both Stateside Vodka and Manatawny Still Works Craft Spirits, and Peroni Beer. DJ SpenDenn will provide the entertainment.